Louise has a diverse practice in public and commercial law. She has appeared both led and unled in the High Court of Australia, as well as in various New South Wales and federal courts and tribunals. Louise accepts briefs in all areas of law. Louise holds a Bachelor of Laws and Bachelor of Arts (History) from the University of Sydney. She graduated with First Class Honours in Law and received 24 awards, prizes and scholarships, including the Sir Dudley Williams Prize for graduating in second place. 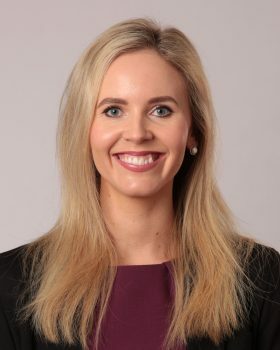 Prior to being called to the Bar in 2016, Louise practised as a solicitor in the Disputes group at Herbert Smith Freehills. She was a tipstaff to the Hon. Justice Robert Macfarlan in the NSW Court of Appeal, and has been an examiner and tutor in Federal Constitutional Law at the University of Sydney since 2014.